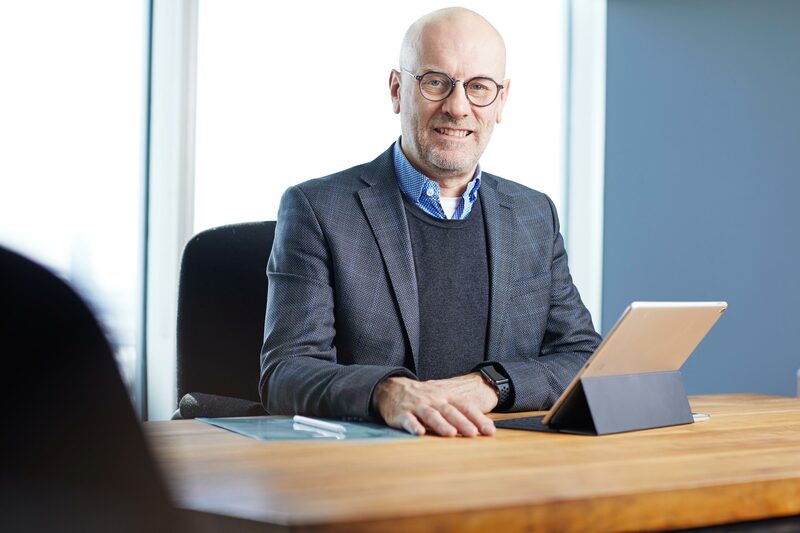 General Partner and Medical Director of TVM Life Science Management and the new chair of CATALIS Québec’s board of directors, Dr. Marc Rivière shares his vision for propelling Quebec to global leadership in early-stage clinical research. Five questions provide valuable insight. CATALIS : Dr. Rivière, you have extensive experience in international preclinical and clinical research operations. What are your aspirations for CATALIS? Dr. Marc Rivière : I would like CATALIS to become a vehicle for bridging the gap, with all the required ethical precautions, between the needs of the industry, researchers and institutions, on the one hand, and patient access to innovative therapies on the other. I am convinced that clinical research can allow patients who have no therapeutic solution to be treated with an innovative drug. There’s a strong movement now in Quebec, a willingness to collaborate, on the part of both institutions and the ministries involved. This collaborative dimension between private and public structures is very important. Participating in this effort to pool resources so that we can ultimately offer something better for patients is my main motivation professionally. CATALIS : In your opinion, what is the main challenge facing clinical research in Quebec? Dr. Marc Rivière : Clinical research in Quebec faces one main challenge today: the globalization of protocols. Whether an industrial sponsor is in Canada, the United States, Europe, or elsewhere, the recruitment method used by clinical sites—the hospital institutions involved in clinical research—is radically different from what it was 25 years ago. It’s no longer sufficient to recruit physician investigators and clinical sites on the basis of scientific reputation and geographical location alone. For the industry, clinical research is still a very risky activity. There are a lot of drug candidates; however, few are approved, very few have commercial success and payer institutions don’t want to pay for me-too drugs. We want innovative therapies that really change patient care. It’s more complicated and more expensive, so, in operationalizing clinical research, from the industry’s perspective, it has become critical to have reliable, high-performing centres and investigators. The other challenge is that traditional public funding and philanthropic bodies are also more demanding and less generous. Because there is less money for research, including for clinical research, the industry has become a major source of funding. Right now there is a very positive sociological alignment between the interests of the industry and those of patients and research institutions. CATALIS : What is your vision of the development of clinical research in Quebec? Dr. Marc Rivière : Clinical research in Quebec is the convergence of a health system that, despite its flaws, is still very effective. We have excellent health indicators, a centralized system, and highly qualified clinicians and research staff. We have everything needed to make Quebec a major clinical research centre. We have clinical researchers who are stars in their field; they are called upon for all the important studies conducted by the industry because they have proven that they are able to recruit patients, that they have used impeccable research methods in the past and that their staff is well trained. There is also a special dimension in Quebec: all work done in the field of genetics with Quebec’s founder population has created a pool of researchers with a huge potential for innovation. A lot of companies emerge from here. CATALIS : How do you think we can manage to attract more private investment for early clinical research? Dr. Marc Rivière : By being better organized, faster in terms of administrative aspects, with more employees trained in research and, most importantly, by letting the outside world know that we’re good and that we have the evidence to prove it. International competition is fierce. The pharmaceutical and biotech industries are absolutely essential for innovation, but patient care is always the main goal. We also have to work to recruit and retain our researchers and staff. And lastly, we have to let the industry know what our clinical research abilities are. My biggest concern these days is making Quebec more visible on the international scene. I think that our clinical research activities aren’t visible enough even though there are some remarkable things happening here. CATALIS : We try to encourage the pharmaceutical and biotech industries to invest so that more clinical research trials can be conducted in Quebec. Should we also encourage the development of institution- or investigator-initiated clinical trials? Dr. Marc Rivière : It’s fundamental. Generally, when a physician wants to undertake a study, it’s because they see their patients and wonder what more can be done for them and that becomes a research question. Clinical research needs to be seen as a fundamental and very innovative aspect of patient care. Institution- or investigator-initiated clinical trials are the poor cousins of research. This is not necessarily very well understood by traditional funding bodies. However, the requirements are the same as for clinical research funded by the pharmaceutical and biotech industries. It takes the same staff, it involves the same regulatory and, of course, ethical constraints, so it is also very expensive. Currently pharmaceutical companies provide partial funding, but it’s not in their immediate interest. I believe that we have to do both in a complementary, rather than competitive, manner. Interview by Isabelle Girard, CATALIS Québec.